Rib cuffs and heat transfered labels. Lawrenceville seal displayed on left front. 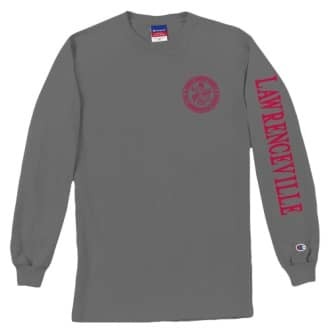 Lawrenceville displayed down the left arm.